Spacesuit design varies with each spacefaring nation that ventures into space. In order to optimize design, it is important to discuss these differences so that areas of improvement are addressed and proven features are maintained. The Chinese space program has developed the Feitian spacesuit which possesses characteristics that are comparable to both the US Extravehicular Mobility Unit (EMU) and the Russian Orlan spacesuits. Designed to keep a human alive in the harsh environment of outer space with temperature fluctuations and vacuum conditions, the spacesuit serves as an individual spacecraft of its own and has the ability to perform vital functions such as gaseous exchange and waste storage as well having a built-in communications system. This complexity of requirements has led to the development of several different spacesuits each with distinct yet similar designs. As part of the US Spacesuit Knowledge Capture (KC) Series, the Feitian Chinese Spacesuit was analyzed in a presentation given by Lewis Croog at NASA Johnson Space Center following the 2008 milestone of China becoming the third nation to perform an EVA from a spacecraft. Croog analyzed Feitian, meaning ‘flying in the sky’, based on a video from that first EVA. The EVA was conducted by Chinese taikonauts Zhai Zhigang and Liu Boming outside the Shenzhou-7 spacecraft whilst Jing Haipeng monitored the walk from inside. Two spacesuits were involved: the Feitian suit and a backup Russian Orlan spacesuit. According to a contract signed in April 2004, a Russian company provided three Orlan suits, two low-pressure Launch Entry suits, four underwater training suits, and four docking systems to the Chinese. 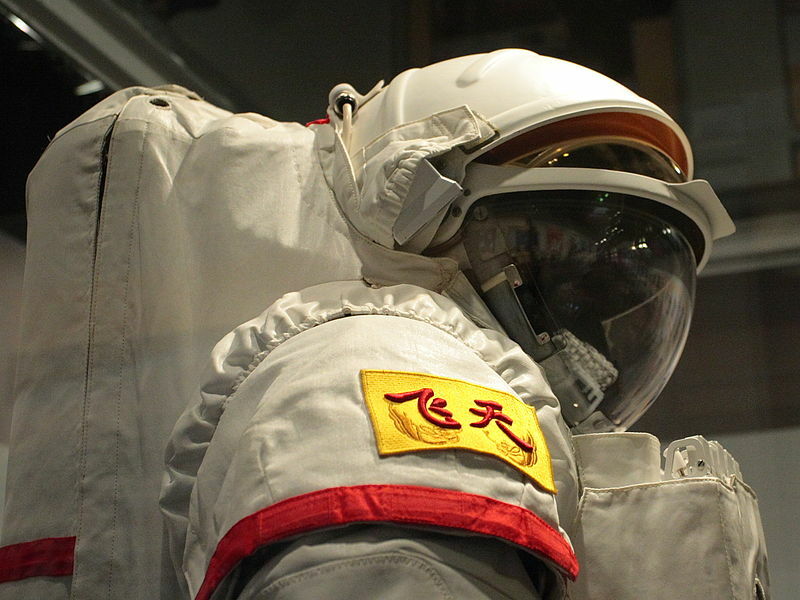 A Feitian suit photographed in 2008 at the Hong Kong Space Museum (Credits: Johnson Lau). No information on the suits was available prior to this video and Croog identifies great resemblance between the Feitian and the Russian Orlan – a much closer relation than the Feitan bears to the EMU. Feitian/Russian Orlan spacesuits are one size fits all, whereas the EMU can be sized for different people. Another distinction is that the Russian Orlan is certified for 15 uses before it is discarded whereas the EMU spacesuit can be worn for up to 25 years with maintenance. 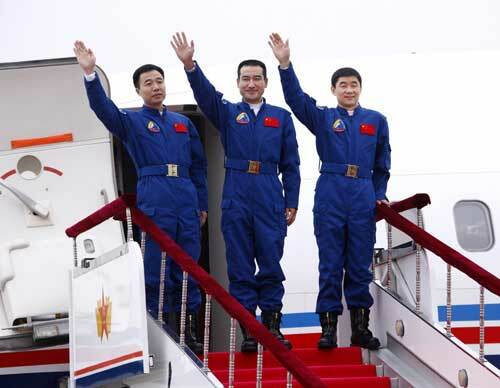 Upon visiting China in 2008 and witnessing the Feitian suits on display at the Beijing Military Museum, American astronaut Leroy Chiao, commented on the stark similarity between the Russian and Chinese spacesuits in a post on his online blog. The Orlan suit on which the Feitian is based (Credits: NASA). Differences between the two suits include the location of the suit pressure gauge, which is on top of the Display Control Module on the Feitian yet on the arm of the Orlan suit. Additionally, a rotating knob is on the Feitian in place of a sliding handle on Orlan for temperature control. Helmet size is another area of disparity as the Feitian visor is larger and wider than the Orlan helmet and the Orlan-M has a moon roof on the helmet, the Feitian does not. Such differences are relatively trivial, however, and the suits are close enough that assumptions can be made about the Feitian based on the Orlan. For example, the Feitan’s helmet is assumed to be built onto the torso as one piece just like the Orlan; in contrast, the EMU helmet is removable. As well as resemblance in glove design, spacesuit interface control panel, training facilities and simulators, the Feitian uses the Orlan style umbilical connection, carrying an emergency oxygen supply tube during the EVA. The video of the EVA displays contrasts not just between spacesuits, but between EVA procedures as well: the shortage of handholds on the Shenzhou was notable, as were pressure differences affecting the door and objects flying out of the airlock. Such observations are key to identifying areas of improvement for future EVAs. NASA’s Extravehicular Mobility Unit, or EMU (Credits: NASA). Liu Guoning, a researcher of China’s Manned Space Engineering Program, believes that amongst such likeness, there are three key differences in technology and reliability. Firstly, digital technology is extensively present in the design of the Feitian whereas Orlan-M, designed in 1970s-80s does not. Code Division Multiple Access network (CDMA) technology is applied in the Feitian’s communication system but the Russian suit depends on short-wave communication. Lastly, Guoning also states that the elbow and knee joints of Feitian are softer than those of the Russian version. 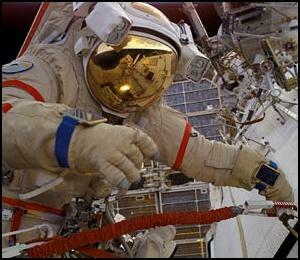 The Russian spacesuit style icon has as many as 135 spacewalks under its belt and has recently undergone an upgrade. Dubbed Orlan MKS, new features include a fully automated thermal control system, built-in computer, enlarged color display with increased viewing and informational capacity as well as a pressurization layer made of a material with improved wear and tear resistance and easier manufacturability. This new polyurethane skin has the ability to withstand depressurization, making the suit much lighter and flexible thanks to the no-longer-needed back up layer. The Orlan MKS is scheduled to be sent to the International Space Station (ISS) in 2014. 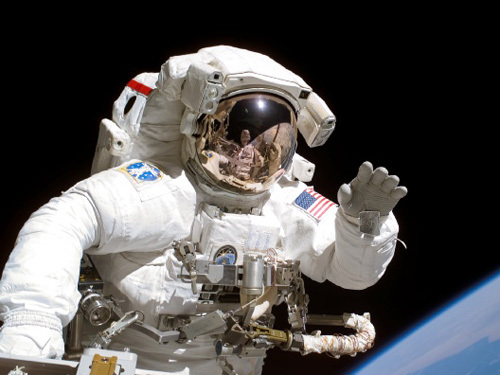 Such advancement and international influence in spacesuit design is vital to ensuring that EVAs are conducted in the safest and most comfortable method as possible whilst maintaining efficiency in time and cost. Image caption: In 2008, China became the third nation to conduct an EVA from a spacecraft (Credits: China.org.cn).